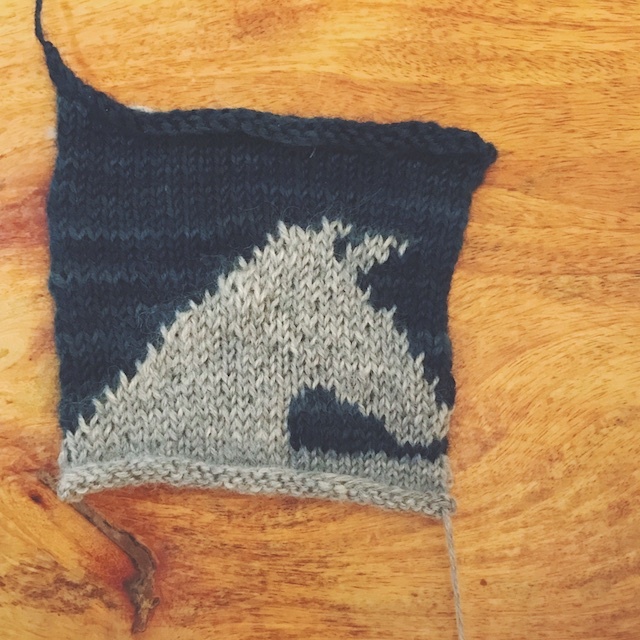 There's another Great Northern Knit-along happening on Ravelry and Instagram. This time we're either knitting Lonely Souls, Filled with Secrets, Starts with a J, or Lynch Pin. I chose Lonely Souls because... a horse head, guys. That sounds vaguely Godfather-esque. But, I was thinking more of the horse and rainbow t-shirts of my youth, of horses running across the front of a Trapper Keeper, and of striped Silver Unicorn jeans. I've had my Wool of the Andes sport and two skeins of Knits in Class dk ready for this for months. Remember I posted one of Teresa's sneak previews of it last year. All this while I've been debating what size I should knit. My weight has gone up and down in the last couple of years, so I've tried to avoid knitting anything very fitted. This sweater is meant to be worn with no positive ease, so I've waffled back one forth over which size to knit. 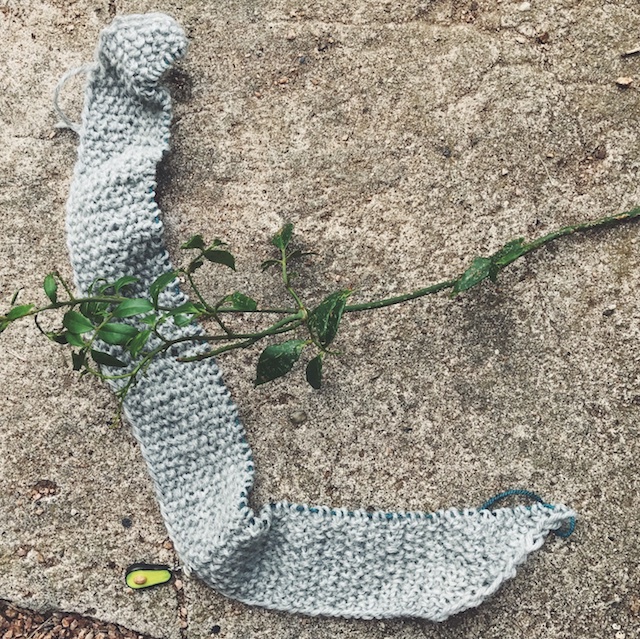 I'm between the 34" and 37.5" so I've decided to knit a size 34 and hope that my famously loose gauge gets things just right. And there's always the magic of blocking. I did wash and block my swatch, above, and found that the two yarns, though slightly different weights, gel nicely. I've already knit half of cross-over bottom band. (This top has lots of unique details.) Join us in the KAL. It'll be running into January, I think, so come join us!